Bachelor of Science in Human Kinetics from the University of Guelph. Jacqueline started working with competitive athletes while at University and playing varsity volleyball. Jacqueline worked as a Strength and Conditioning consultant for the Toronto Maple Leafs and Toronto Marlies for 4 years (2010-2014). She trained professional hockey players 4 days a week during their off season, helping them get stronger and work through post rehabilitative injuries. While in season she would consult on programming. Jacqueline is a certified Strong First Kettlebell Instructor (Level 2) and am a Strong First Assistant at Instructor Certification Courses. 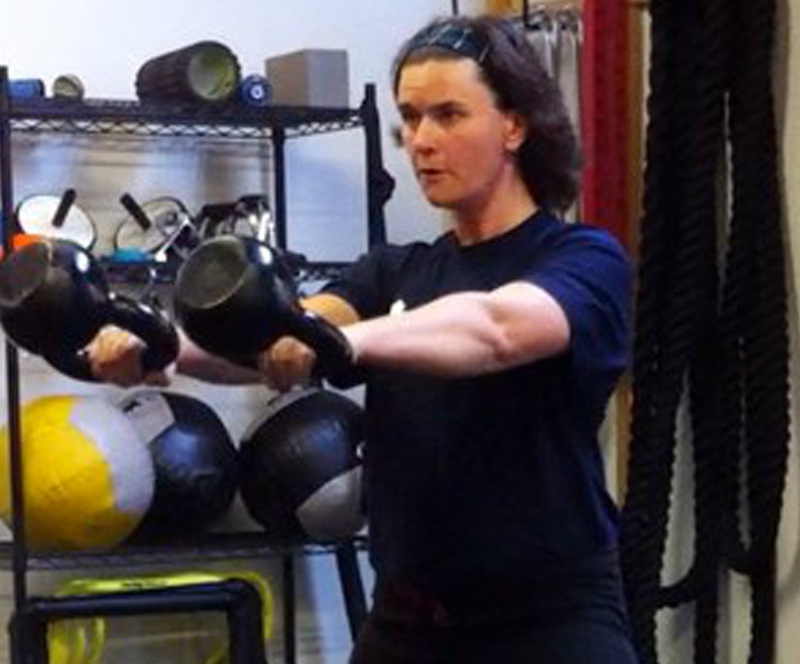 She offers Hardstyle Kettlebell User Course for trainers where they can achieve 4 CEC's.